Why Is My Water Pressure So Low? Water pressure in your home is strictly regulated by a simple truth; that water flows from higher altitudes to lower altitudes. 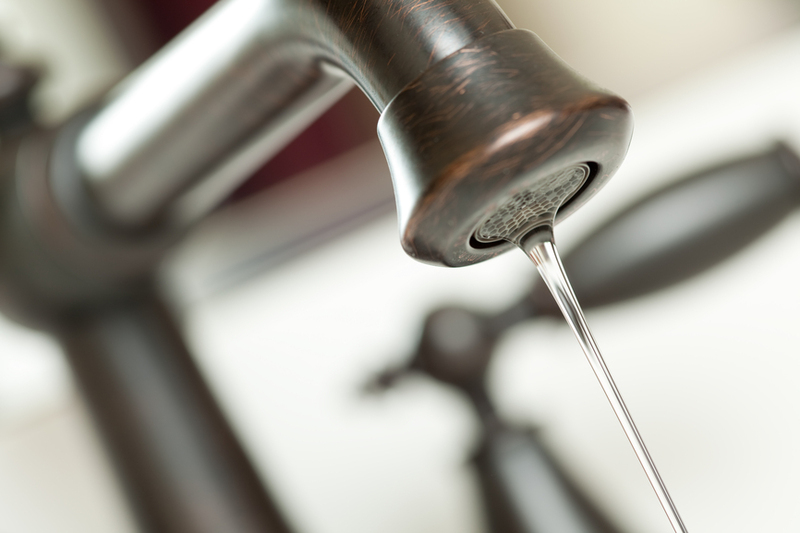 The water pressure in every tap or shower in your home will depend on the natural flow of water from a storage tank through the pipes to the eventual faucet. The only way you can determine the water pressure other than the natural flow of water is by using air pressure tanks. Unless you have air pressure tanks, you will have to rely on the natural pressure. There are some plumbing fixtures which can increase or reduce the water pressure but they won’t have the capacity or ability to influence the water pressure through the plumbing network. They can only play a role once the water flows into the special faucet or tap system, after which the pressure is controlled, increased or decreased. You will have low water pressure in your house in certain specific circumstances. You may have very little water in your tank, to the point that it is unable to exert any additional pressure other than gravity pulling the flow of water downwards, to the eventual faucets, showerheads or taps. Or, you may have some problems in the plumbing network that is disrupting the water pressure. The problem in the plumbing network can be due to leaks or cracks in some pipes, joints or some fissures somewhere. The low pressure may also be due to clogged pipes. Over years of use, pipes can have buildup of sediments. Pipes can corrode and rust, wear down and such obstructions will obviously reduce the water pressure. It is very difficult for a homeowner to identify these problems without professional help. You may know if a faucet is leaking or if you have some problems with the sink, the flush in the toilet or the showerhead. But you cannot possibly locate a problem in concealed pipes or inside the pipes. That calls for the expertise of a trained and experienced plumber. You should always get your water pressure checked, ideally much before it begins to become worrying. Leaky pipes, water oozing out from some place that you are not aware of or extremely clogged pipes are not ideal situations for any homeowner. From unclean water to property damage, there can be very serious consequences of not taking low or reduced water pressure seriously enough to call in the experts. http://knoxvilleplumbingllc.com/wp-content/uploads/2014/09/Low-or-no-water-pressure-fixed-by-your-Middletown-Plumber.jpg 577 866 Knoxville Plumber http://knoxvilleplumbingllc.com/wp-content/uploads/2016/09/Website-Logo-KNoxville-Plumbing-2.png Knoxville Plumber2014-08-19 17:22:042014-09-29 17:24:39Why Is My Water Pressure So Low?